SimCity Promo Codes Only $6 for Origin Key! This popular Fanatical deal is back - if you want some of the best city building classic experience, SimCity 4 Deluxe is on tap for $2 again at Fanatical. Steam key (will work on PC/Linux machine as well). The average price for this game in the past 6 months is $3.41. The game first became 50% off on Feb 23, 2012 at Amazon. Lowest historic price was $1.99 on Feb 8, 2019 at Fanatical. Oldie but a goodie. SimCity 4 Deluxe down to $2 today in Fanatical's Star Deal. Fanatical is saying this is for Mac, but since the game is a SteamPlay title the same Steam Key they email out to you will work just fine for PC. El cheapo SimCity 4 Deluxe this weekend at GMG. They've got the price down to $3.75 after coupon which ties its all time low last seen in February of this year. At GMG they say it's a "Mac" title, but it's a SteamPlay game which means the same Steam key GMG emails out to you will work for PC and Mac interchangeably. This does NOT activate on Steam OR Origin. Do they give you a code? Origin or Steam? Doesn't say. The game activates on Origin. The average price for this game since released is $2.25. The game first became 50% off on Jun 18, 2013 at GOG.com. Lowest historic price was $0.89 on Jun 6, 2018 at GOG.com. Sick freebie on Origin this month: SimCity 2000 Special Edition. Old as dirt, but if you're looking to bring back a little nostalgia how can you go wrong with a $0 purchase. SimCity 2K at lowest ever price thanks to Origin's 70% "Grow Your Collection Sale." Origin key (duh). Last lowest price was about 60 cents more for the DRM-free GOG version. Usually $6 for this classic. Today Simcity 3000 Unlimited released on GOG, and that means DRM-Free. No need for the Origin client now and it's half price with a $5 release discount. Includes the SimCity Base game, Cities of Tomorrow expansion pack, and 5 DLC content packs. The average price for this game since released is $14.84. The game first became 50% off on Nov 25, 2014 at Origin. Lowest historic price was $7.49 on Feb 20, 2018 at Origin. Best price in 2 months on SimCity: Complete Edition with a drop to $15 at Amazon. Origin key. Normally $30. SimCity hits historic low price for the Complete Edition (Origin key). Previous low was almost 2x price for $13.60 so this is a pretty killer deal. New low on the SimCity: Complete Edition. Today GamersGate has 'er on sale for only $13.60. Previous low was $16 seen in late February & early March, but now even cheaper. Normally $40 for the combo. Almost everything SimCity for only $20. Includes the game, Citites of Tomorrow, plus five DLCs including three City sets, Heroes and Villians, Plumbob Park, Airship Sets, and Amusement Park. The average price for this game since released is $26.05. The game first became 50% off on Jul 19, 2013 at GameFly. Lowest historic price was $4.99 on Jun 28, 2016 at Origin. Fairly hot deal for the standard edition of SimCity at GMG. Besides a few days in August last year at $6, this is the lowest price ever. It's part of GMG's VIP gaming sale, so you'll have to login to see the discount (you're redirected to the right page after login). Might be a time to pick up SimCity. Today GameStop's digital download department dropped the game to $5.99 - a new low by $6 and $24 off the usual $30 list price. Tying lowest ever price, SimCity is available for only $12 at GameStop's Summer PC Game sale. At this price the now "fixed" online-only "bug" is less of a sticking point. SimCity hits lowest ever price. Now $12.74 for the Origin key at Gamefly Digital's Summer Sale. At this price, its probably not a bad buy (considering offline play is now available). SimCity ties its lowest price ever in GameStop's Spring PC Gaming sale - half the usual $30 list price. If you refused to buy last year because of the online only BS, the game now allows you the option to play offline. Physical copy of SimCity: Cities of Tomorrow only three bucks at GameStop. Historic low for the expansion. Look for store pickup if you want the full discount, otherwise it's a $5 shipping charge. The average price for this game since released is $18.52. The game first became 50% off on Feb 14, 2014 at Origin. Lowest historic price was $8 on Dec 18, 2014 at Origin. SimCity's Cities of Tomorrow expansion dropped back down to $15 today at GamersGate. That ties its all time low and is a good 50% off the usual $30 list price tag. Best price ever on SimCity's expansion "Cities of Tomorrow". Origin's 50% coupon code knocks the price down to $15. That beats out the previous best $18 price tag seen during the final stages of the 2013 PC gaming winter sales. New low on SimCity 2013's latest expansion Cities of Tomorrow. GameFanShop has the price down to $20 instantly, and you can add a Dealzon exclusive coupon for an extra buck off. Previous low was spotted last week at $20, but most retailers are $30. New low on the November 12th released SimCity: Cities of Tomorrow expansion. At $20 it even beats out the previous best $21.60 Cyber Monday price tag. Buying on the Origin Store, and anywhere else, will run you $30. Lies or a glitch be damned, but the code doesn't work - copy/paste, type in, no matter, just all the same result. Hey ChaosCrazed, it's a glitch. I've contacted GameFly support and our contacts with GameFly. This is an unintentional glitch with their checkout process. Check back later today. Hey ChaosCrazed. Just FYI the code works now! SimCity: Limited Edition on sale at Best Buy this week for only $7. It's a physical DVD copy but is only a buck off the all time low for the PC Download purely digital copy. The average price for this game since released is $39.40. The game first became 50% off on Jan 2, 2014 at Microsoft. Lowest historic price was $6.99 on Aug 17, 2015 at Best Buy. Excellent chance to scoop SimCity up on the cheap. The Microsoft Store has the Limited Edition physical disc for only $15, free ship. Unfortunately you can't just start the download right away, but if you look past that, this is the lowest price ever by $5. 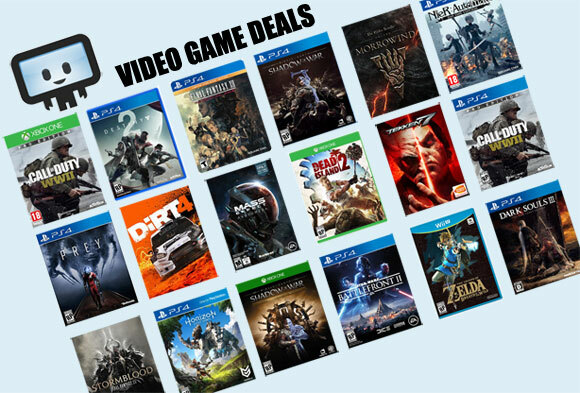 Best deal ever for gamers. After 12 hours of Simcity, clean your nasty body. SimCity + Dove Body Wash = cheaper SimCity? Heh, that's the way this crazy good offer works at Amazon. The DVD version of SimCity Limited Edition (physical copy) is discounted to $39.99 over at Amazon - a great price for a popular recent release. Then add at least $15 worth of select Dove Mens care products to your cart (we'll link you to the proper page) and at the final step in checkout you get an additional $20 off SimCity. That effectively gets you SimCity for $35 with $15 of free shower products. Pretty hot deal if you ask me. Wow. SimCity is discounted to $35 at Amazon... this is incredible considering it was released just earlier this month. Even with server snafu this is a great price. Now, this is a particularly different - and a bit weird of a deal too. You'll have to buy an additional $15 worth of Dove Men care products, but you'll get an immediate $20 EA credit that will apply to your cart, making the final price $35 (plus tax) for SimCity plus a bunch of hygiene care products. Now that GameFly's cut their 20% off coupon for their Standard Edition SimCity offering, this Green Man Gaming deal on the Limited Edition is the best out there. After paying list upfront, you'll get either $7 back in your account in a couple days or $10 toward further Green Man downloads - your choice. Once the server snafu is through, you'll be playing for something like $7 or $10 cheaper than most.